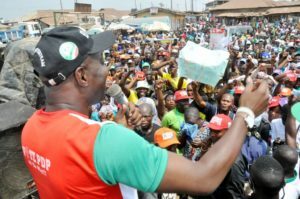 The Peoples Democratic Party governorship candidate Engr. Seyi Makinde campaign train was in Ido local government area of Oyo state today. Below are campaign photos from Ido. Engr. 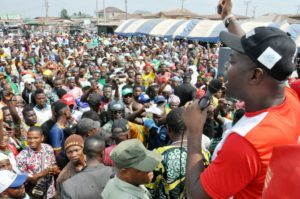 Seyi Makinde addressing a crowd Omi garage today. 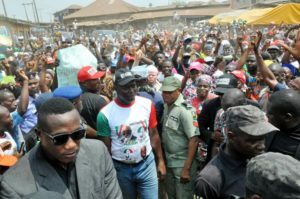 Seyi Makinde arriving at Ido this morning. 2018 Jamb highest score: Gov. 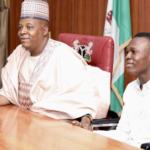 Shettima Grants full scholarship to Isreal Galadima.